Instagram pods, also known as like and comment pods, are group chats of people who engage with each others’ posts. Usually, when you post something new, you send it to the group chat and everyone in the chat will interact with your post. It’s a really good way to boost initial engagement on a new post. Disclaimer: I’m not saying Instagram pods are bad for everyone. I’m not even saying they’re bad at all, and if you are having trouble getting your Instagram off the ground I highly recommend you find one. They bring so many benefits, especially to new users on Instagram. 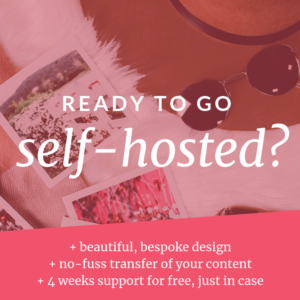 If you’re a travel, fashion or beauty blogger then you may be able to find a pod dedicated to just your niche with like minded people and find your place in the blogging community through the pod. However, if you are in a less common or maybe you don’t really have a niche, or you’re like me and your Instagram is more of a personal, behind-the-scenes place, you’re more likely to end up in Instagram pods with people who are similar and who’s content you aren’t immediately in love with. I am a stickler for organic growth. 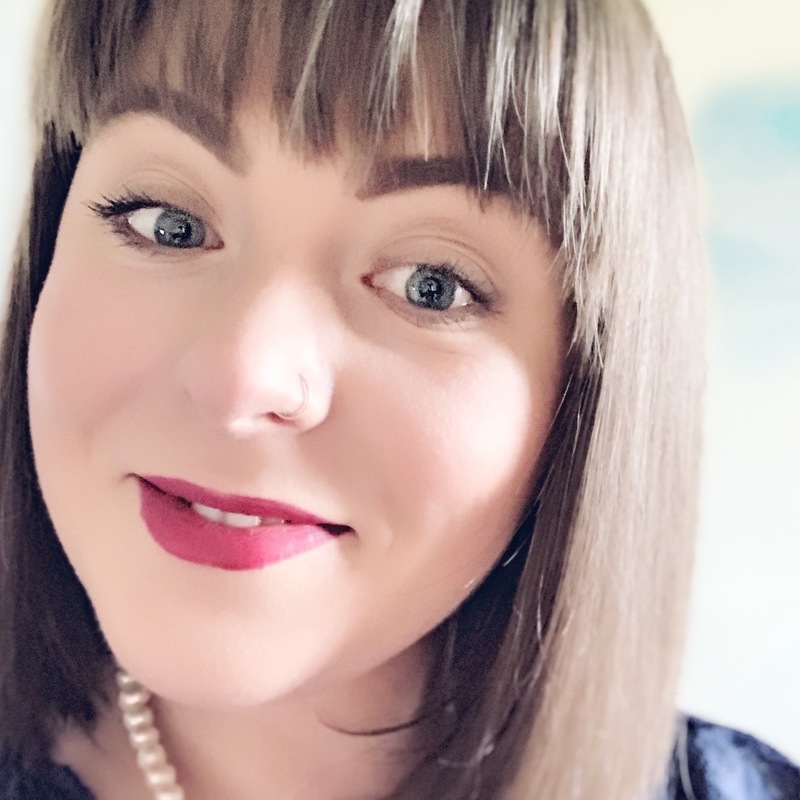 If you are someone who wants to build a community around your blog, monetise your content or build a brand then you need to focus less on the number of likes and followers and focus more on the quality of likes and followers. If you want your blog to become a business, you need to focus on setting yourself up as an authority in your niche. When you share your content with Instagram pods, sure, you get immediate engagement. But the people who are engaging more than likely don’t really care about what you are sharing. 6 months down the line when you’re ready to launch the amazing ebook you spent months working on, the people from your pods are probably not going to purchase it. We all have our different tastes, and that’s okay. Most Instagram pods don’t have a rule about what can be shared with the group, so you can be liking anything from 20 pictures of kids to a car you’d never want to buy. That’s okay, because likes are simple. But you usually also have to come up with a meaningful comment, too. If the images being shared with the pod aren’t things you are naturally drawn to, you’ll end up leaving comments which aren’t sincere and no matter how hard you try, insincere comments are always obvious. Social media is a time sink at the best of times. 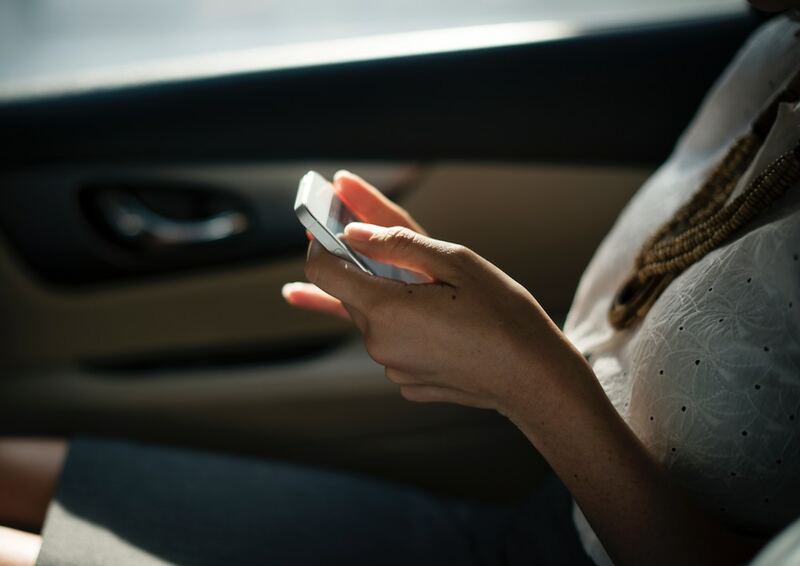 It is so easy to get distracted and what starts as a quick browse can often turn into hours of scrolling through your feed. In terms of turning your blog into a business, or even just managing to run your blog, you need to stick to a tight schedule. That includes limiting time on social media so that you aren’t on it all day long. I found that I would try to leave interacting with pods until the end of the day, but as I started to feel more detached from them I wouldn’t interact for a few days. This is counterproductive in terms of the engagement pods were set up to achieve, but it also meant I had so many posts to catch up on. I ended up spending an hour at a time just liking and commenting images from the pods. That time could have been spent engaging with the followers who I know do love my content. That time would be much better to spend following new people or engaging with people in your niche. Try to spend more time engaging in people who are suited to your target audience. In other words, the pods create a false sense of engagement, an illusion. Time spent engaging with pods takes away from the time you can spend engaging with your actual audience. There are so many other ways to grow your Instagram that take less time and are much more efficient. Pods don’t grow your account in any way; They only bump up your like/comment totals. They aren’t drawing in any new readers or potential customers/clients. I didn’t send all of my images to the pods I was in. Yet, all of my recent images have similar like/comment totals. My most recent images, the ones posted since I left my pods, still have roughly the same like/comment volumes as those I sent to the pods. That is real and measurable engagement. My posts have varied between 100-150 likes whether sent to pods are not. The difference? I know the people who liked the images not sent to pods are people who actually liked the picture. So, how can you grow your Instagram organically? Take your time. Growing your social media is a marathon, not a sprint. Don’t expect insane numbers overnight. Be persistent and consistent. Check how my other social media blog posts. I write about how you can successfully grow day in, day out on social media. Read about out how I grew my Instagram by 400+% in just three weeks with one magic tool: hashtags! Download my FREE hashtag guide – it’ll help you grow your audience by using the right hashtags for your niche. 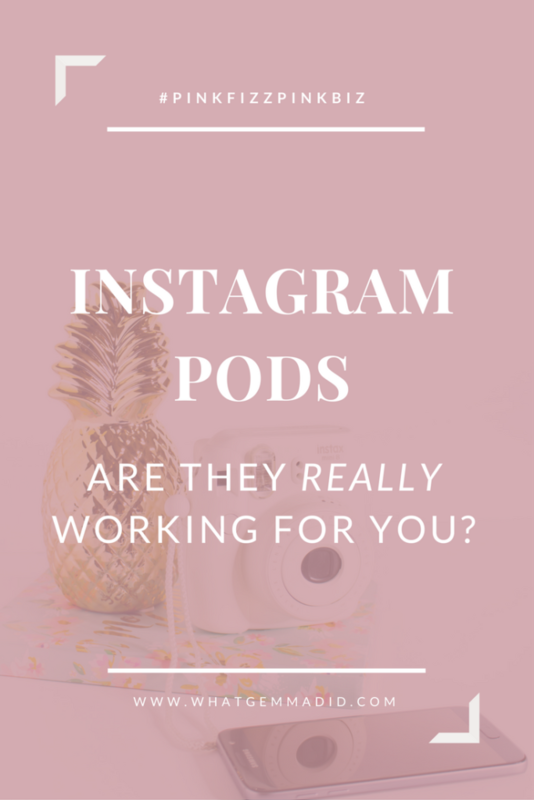 What do you think of Instagram pods? Are you a member of any? I’d love to hear your experiences! I have been hearing quite a bit about Instagram pods recently and was intrigued but I’m no longer intrigued. I don’t like how it’s all about likes, I’m with you on that one. Fantastic inciteful post! I am in one Instagram pod right now, and you’re right…it takes a lot of time and the people I’m in the pod with are not really the kind of people I’m looking for. And they will definitely not benefit from my content. So the only reason I’m there is to up the engagement and I’m really wondering if this is how I want to do it. It’s a tough one! The thing with engagement is that if there already is some you’re more likely to end up at the top of people’s feeds and people are more likely to interact if other people have. Pods can be great but there is a point where I think the training wheels need to come off. In all honestly I see just as much engagement by focussing hashtags and speaking to my audience as I did in pods (but pods took WAY more time!). This was a really interesting read, thank you Gemma! I’m in an Instagram pod myself and I know what you mean with the fact that they’re time consuming; I have to write meaningful comments on posts I may not be interested in! I love reading your posts Gemma! I’m in two pods, one I don’t bother with – the images posted are repetitive and I struggle to find meaningful comments to add twice a day! The other pod I engage with. I started from zero and it’s taken me almost 12 months to organically grow my follow count to just under 1,400 but it’s sooo slow! Twitter is even worse!